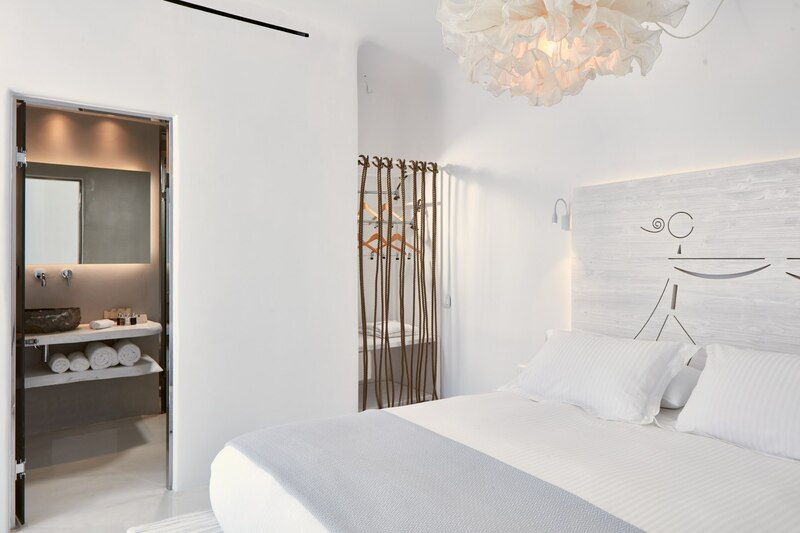 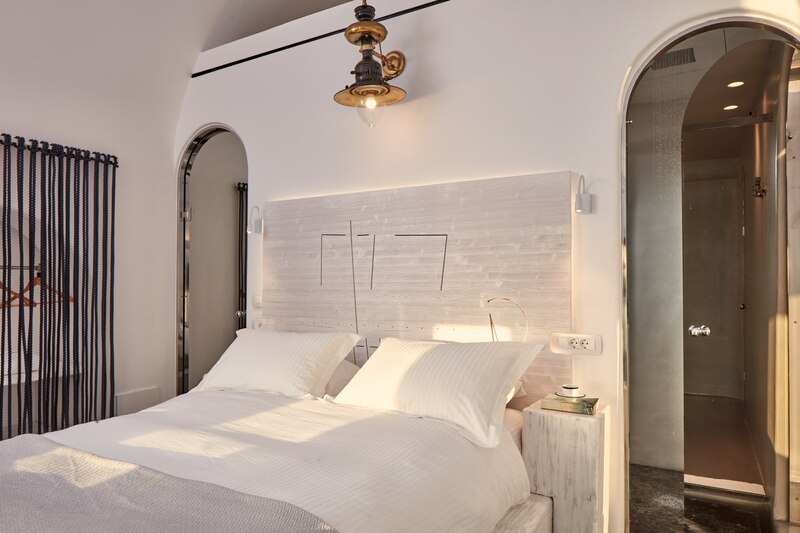 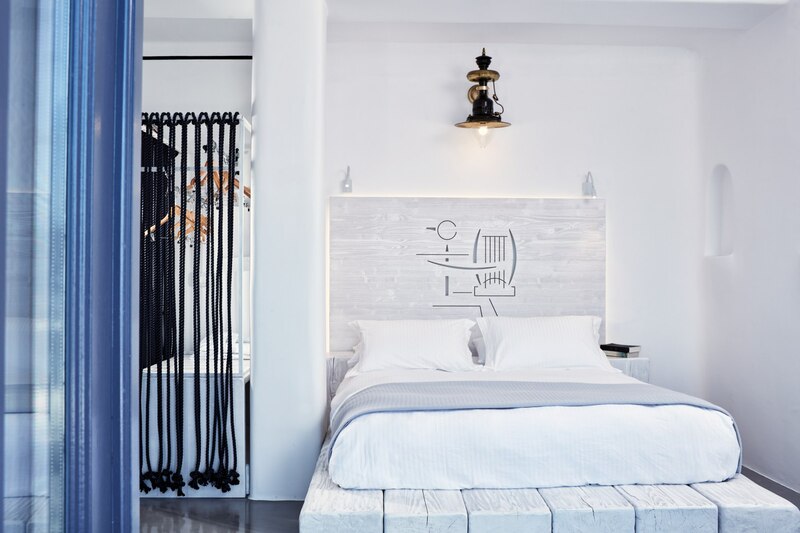 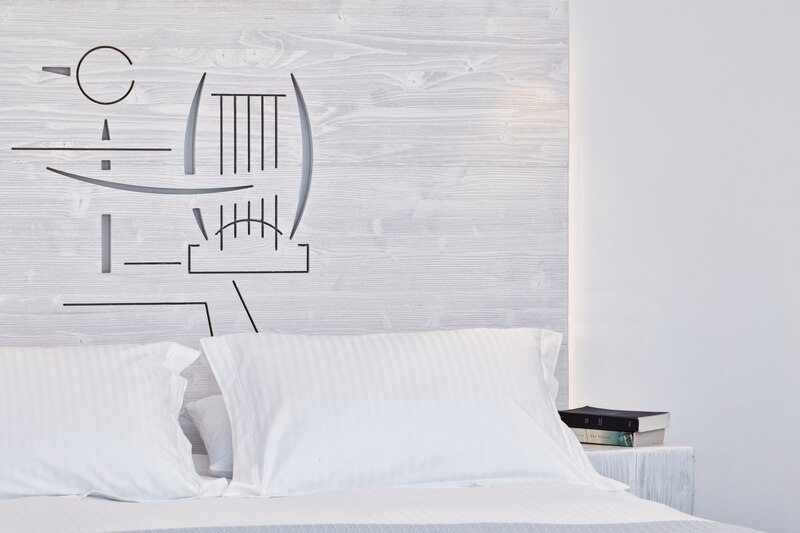 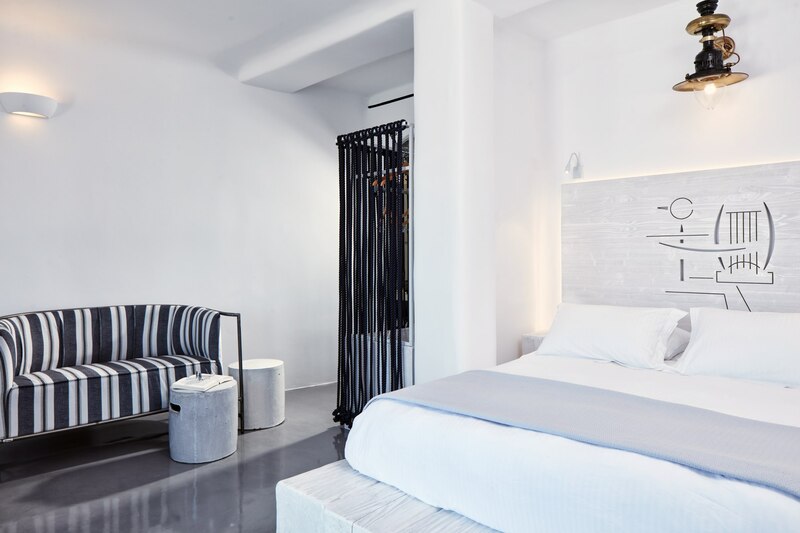 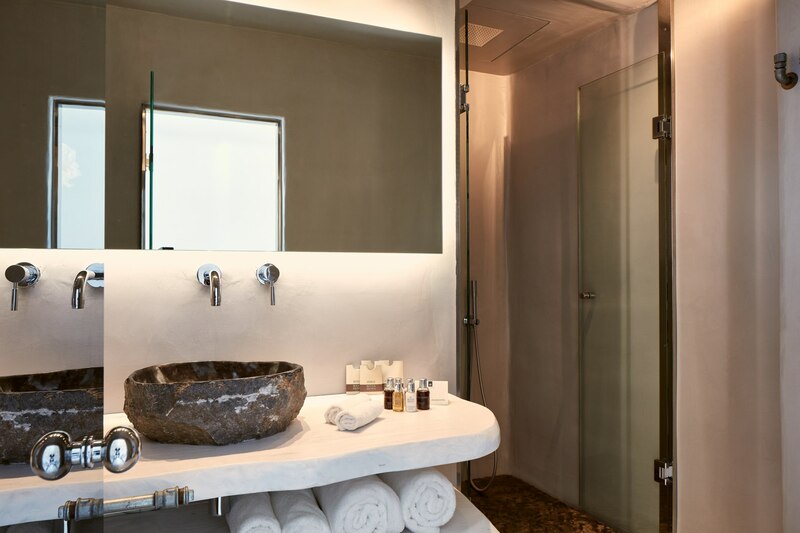 The mythical hero Odysseus; Orpheus, the patron saint of music and his wife Eurydice whom he brought back from Hades, and Helen, symbol of female beauty give their names to the Double Rooms of the Homeric Poems Hotel. 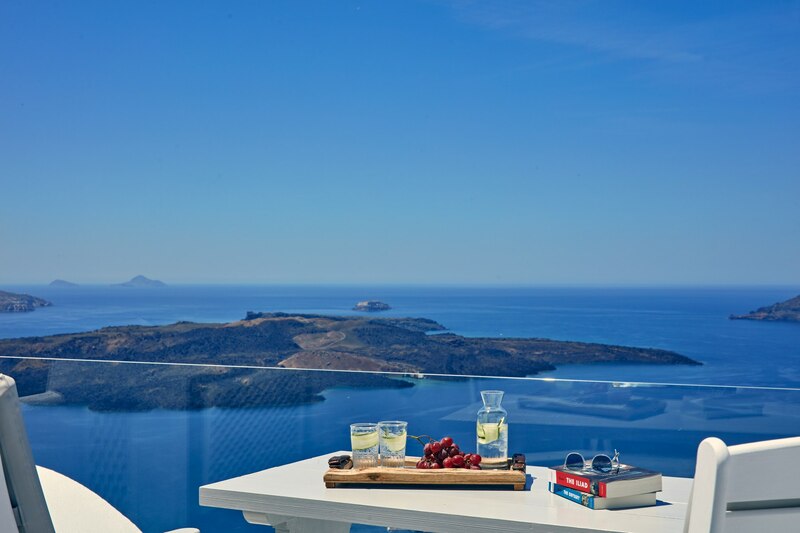 The traditional architecture of the Double Rooms, their light colours and decorations - authentic objects from the collection of the owner - the comfortable beds, luxurious bathrooms, dining tables, all have one point of reference: the private balconies with breath-taking views of the caldera. 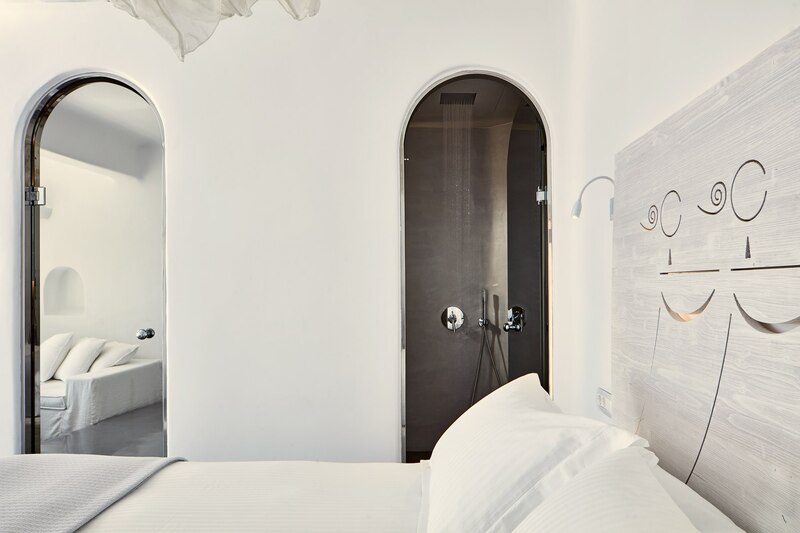 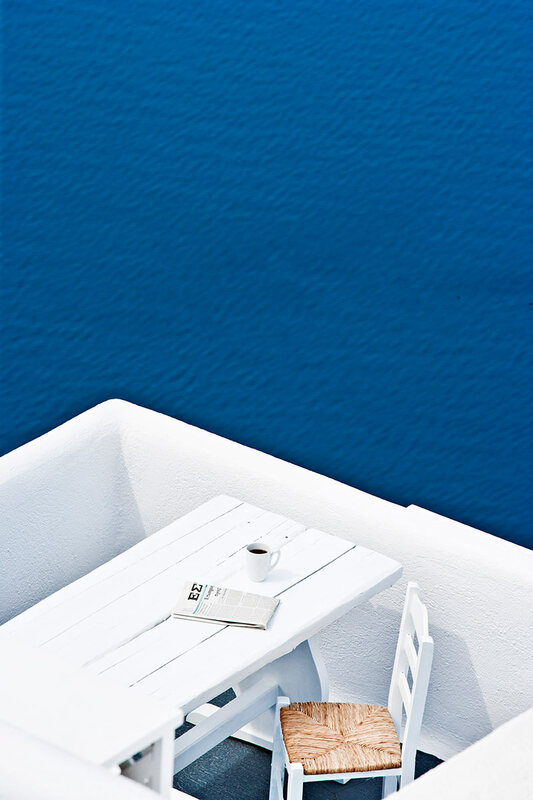 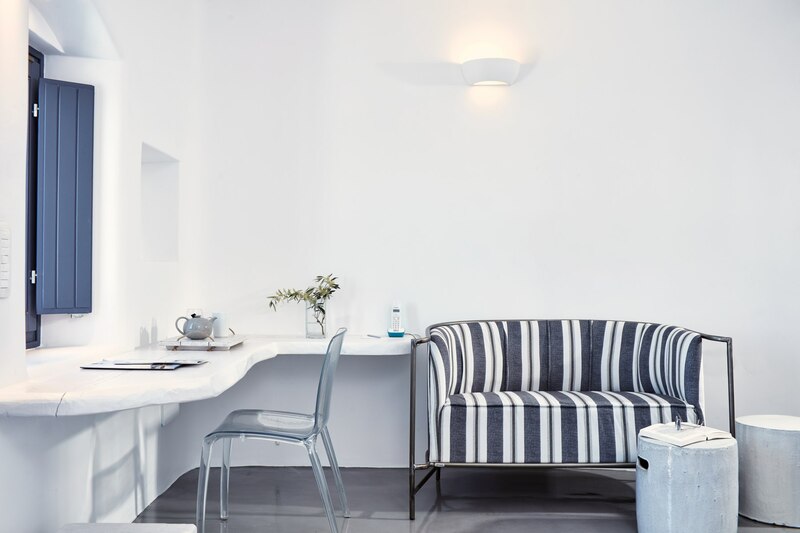 The Double Rooms of the Homeric Poems hotel can accommodate 2 people. 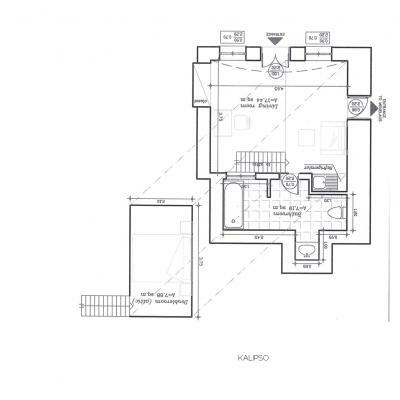 Let’s see in detail the areas and their facilities.